Holly Journals is a gorgeous journal of the month box, and each journal included in the box is handmade by Holly Rose! Holly also sells journals in her shop on top of her subscription box, and I adore the handmade nature of her products. Handmade items are so much more valuable to me than manufactured items. 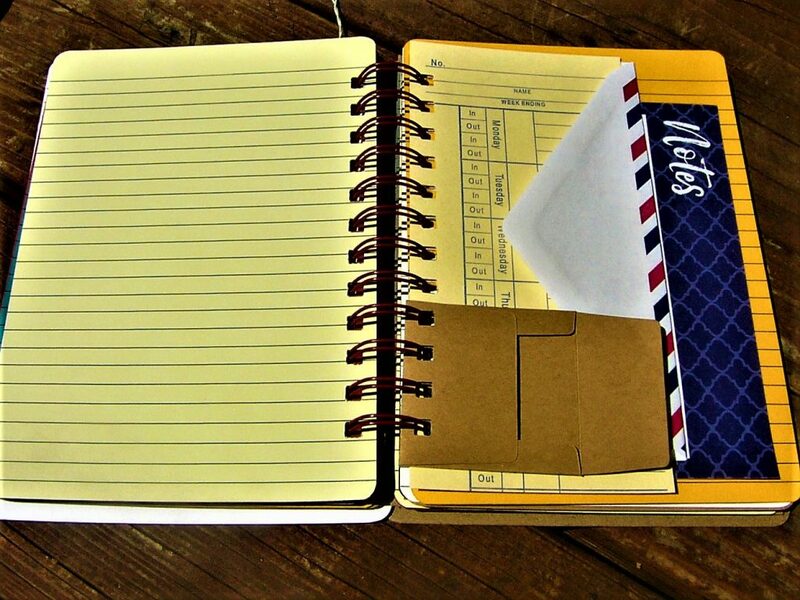 There Are Three Different Subscription Options For Holly Journals. 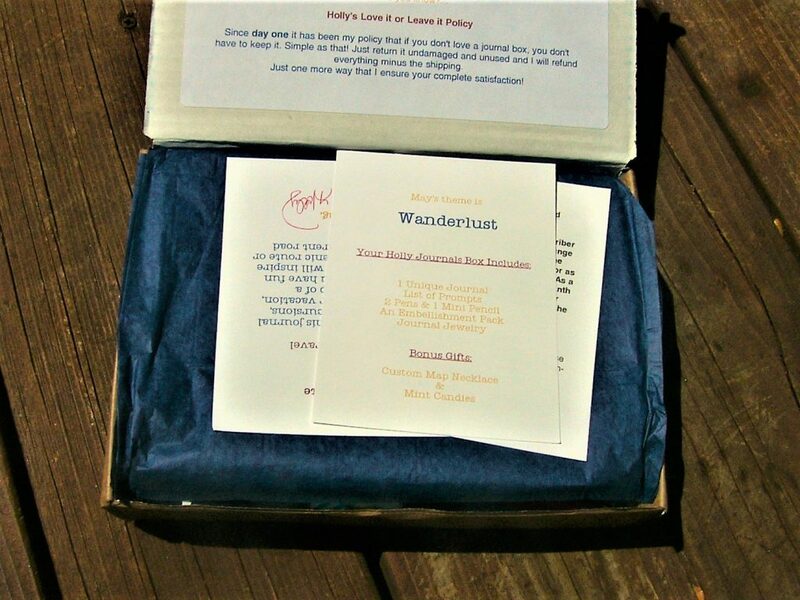 I received the May Journal Box to review, and the theme is “Wanderlust”! 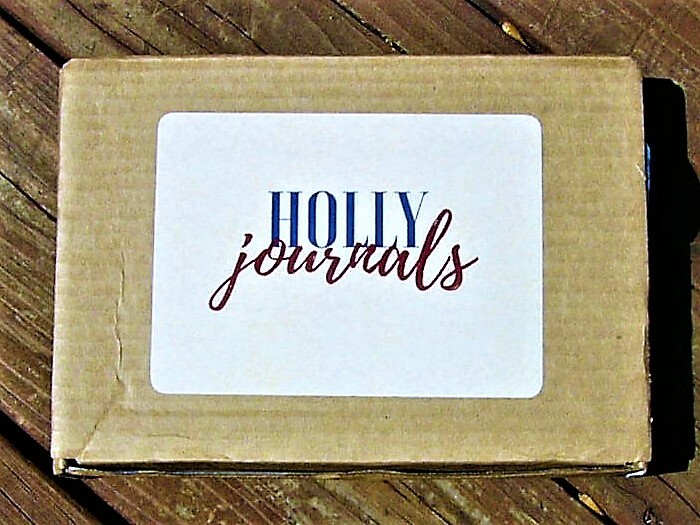 Holly Journals arrives in a compact box with the logo on the front. The box is the perfect size to house all of the contents without having them moving around during shipping! Upon opening the box, you are greeted with the item list and personal letter from Holly! I love these touches because they make the box feel personable. The way the box is wrapped feels like a care package, and it just brings me such joy. Here is a closer look at the letter from Holly! I like hearing her ideas of what you can use this month’s journal for. It helps the subscriber get ideas for their journaling. Here is also a closeup look at the insert card. I love how simple this design is, and I always love receiving an item list so I know what to expect! 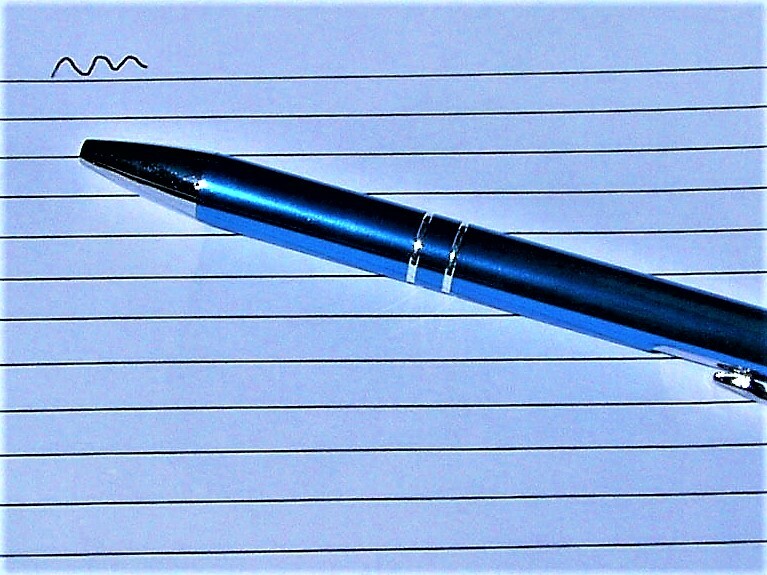 Holly also includes a list of writing prompts to go along with the monthly theme! I like how all of these prompts are related to travel since the theme is wanderlust. 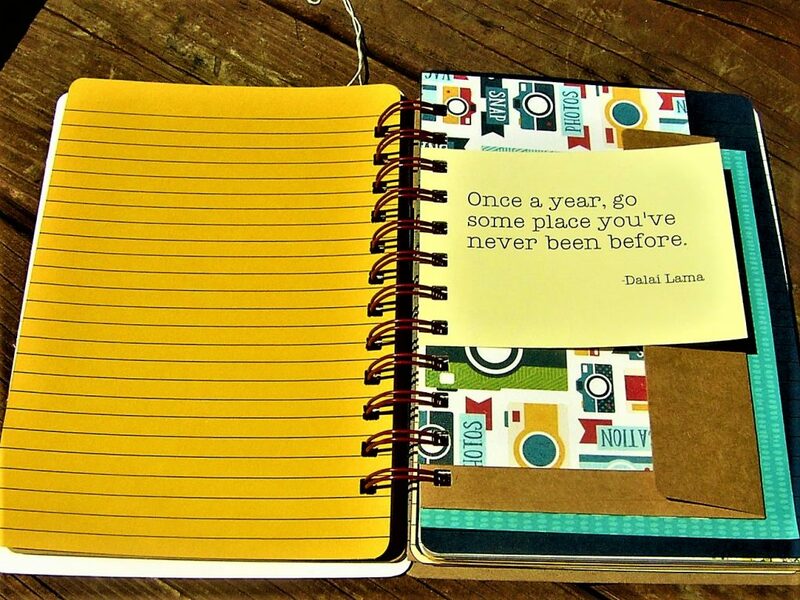 Using these prompts is a great way to reminisce about your travels, or to document new ones. The first items I pull out of the box are these two pens! 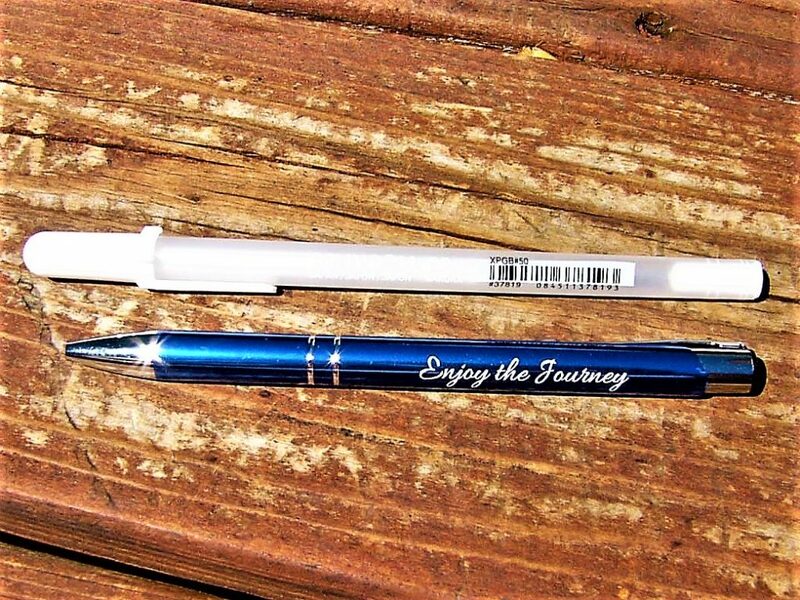 I love the personalized black pen, and the Gelly Roll white gel pen is perfect for writing on dark paper! Since Holly added multiple dark pages to this month’s journal, the white gel pen will be put to great use! I love how smoothly it writes. 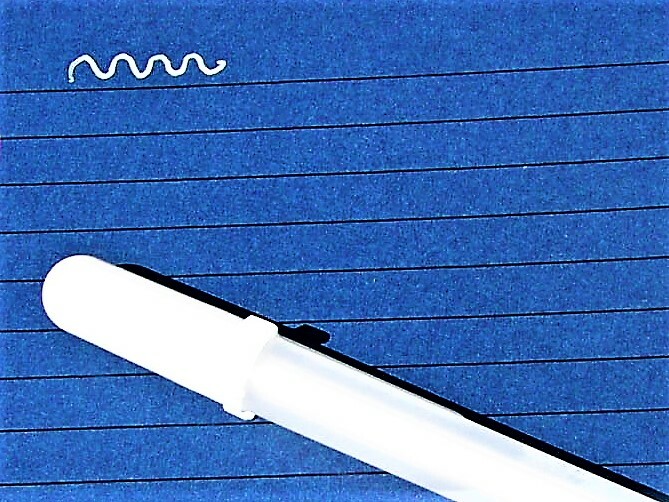 The black pen also writes very smoothly, and it will be perfect to use on the light pages in the journal! 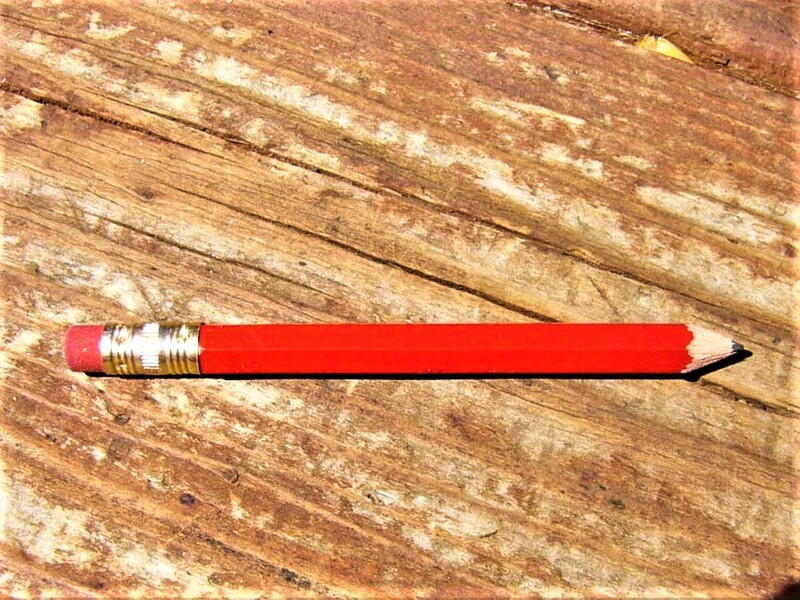 This mini pencil was also included in this month’s box. It is perfect for taking on the go since it is so compact! 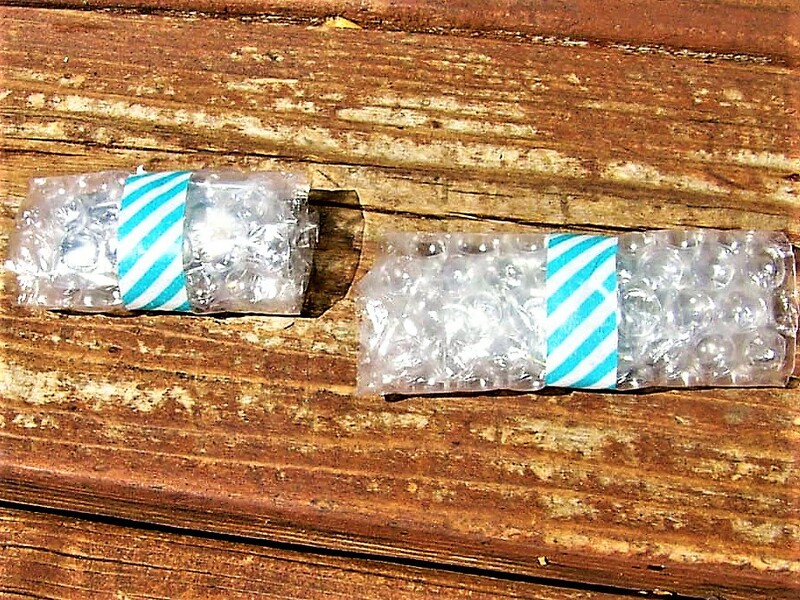 The next two items were carefully wrapped with decorative tape and bubble wrap. I love the care that Holly puts into her boxes! The bonus gift included in this box is a map necklace, but the coolest part about this necklace is that Holly customized them to the subscriber’s address! 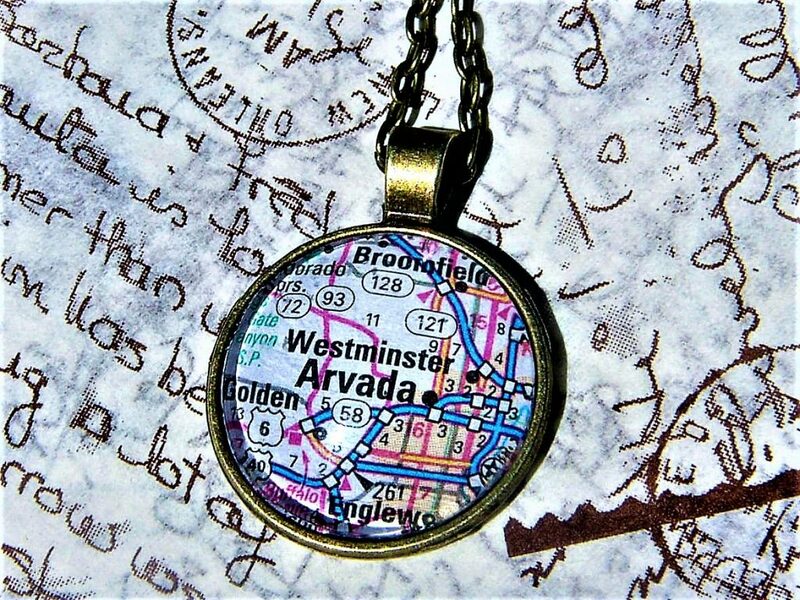 She used the map of my hometown to make this necklace, and it is my new favorite thing. 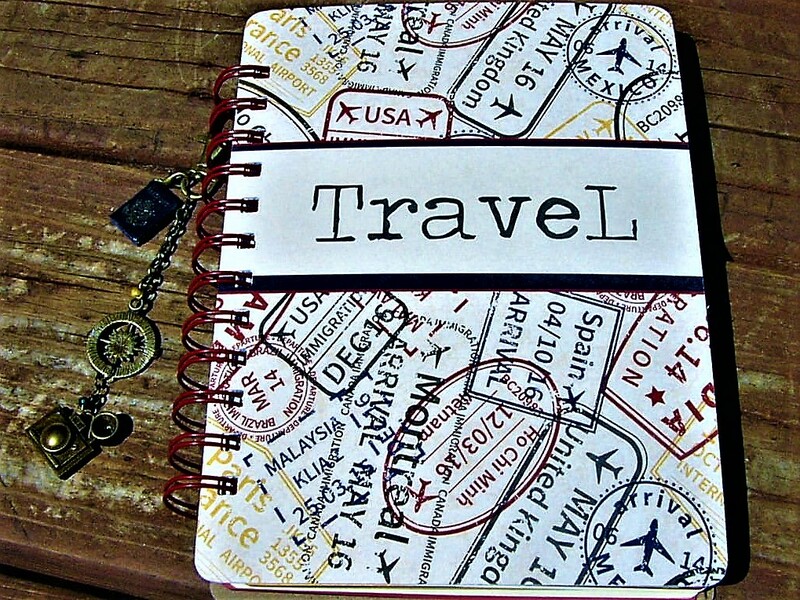 Holly usually sends some journal jewelry that you can clip onto your journal as well, and this month’s jewelry is all about travel! 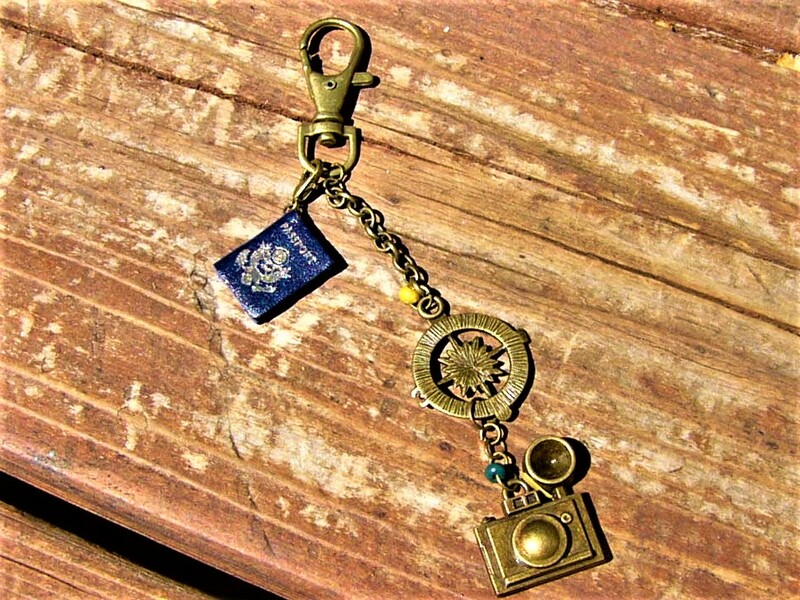 I absolutely love the mini passport that is on the jewelry, and I have already clipped it onto my journal. Here is the journal with the jewelry! 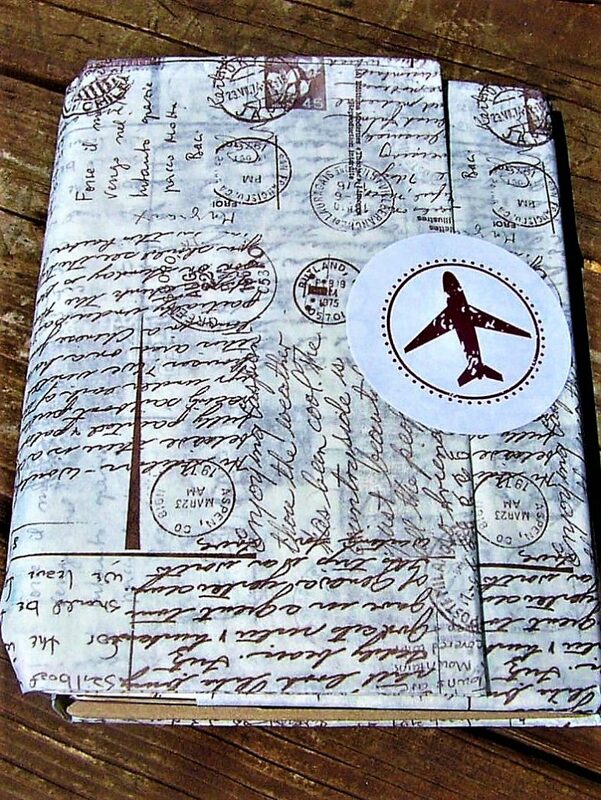 The journal this month is wrapped in this adorable travel tissue paper and sticker! I am definitely keeping the tissue paper and using it the next time I give someone a gift. And now for the main attraction! 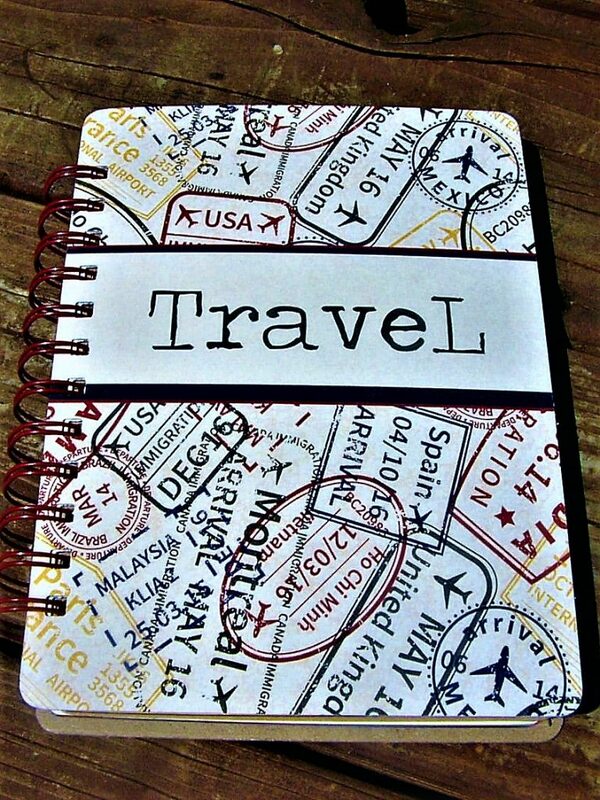 This month’s adorable journal has “Travel” across the cover, and design with the passport stamps is precious. But the inside of the journal is even better than the front! Holly’s journals include so much more than just paper, and I love how unique each page is. 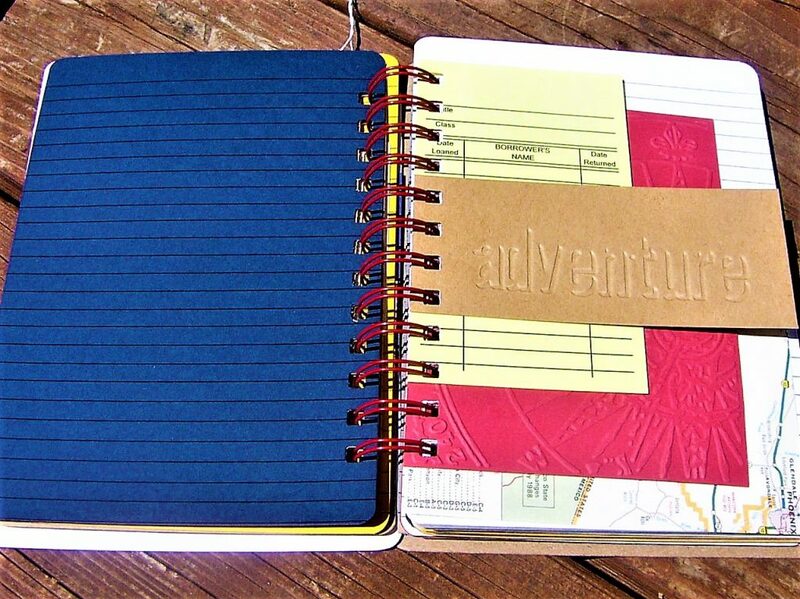 Below are numerous photos showing the inner workings of these beautiful journals! 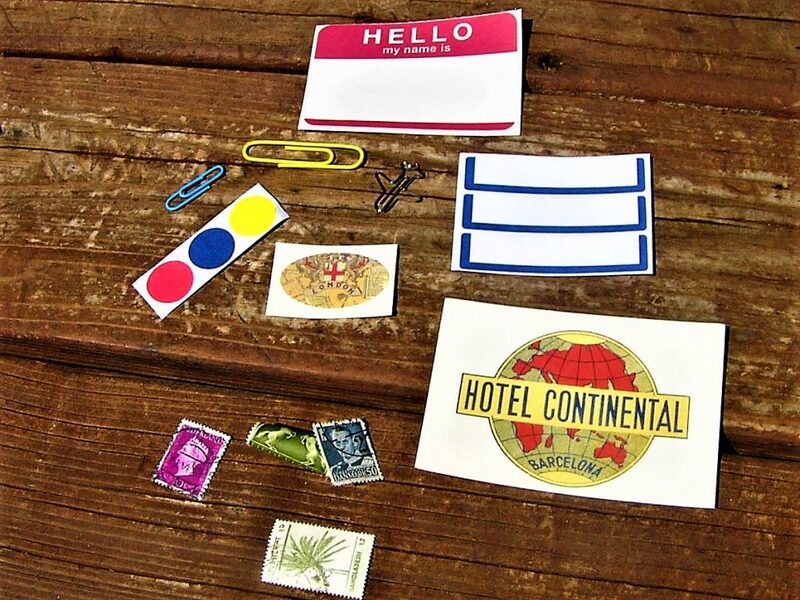 I am amazed by the adorable paper items that Holly collects to correlate with each theme! The quotes she adds in-between the pages are always a nice touch of inspiration. This library card insert and map are just too cute! These antique looking postcards add a great sense of nostalgia to the journal. 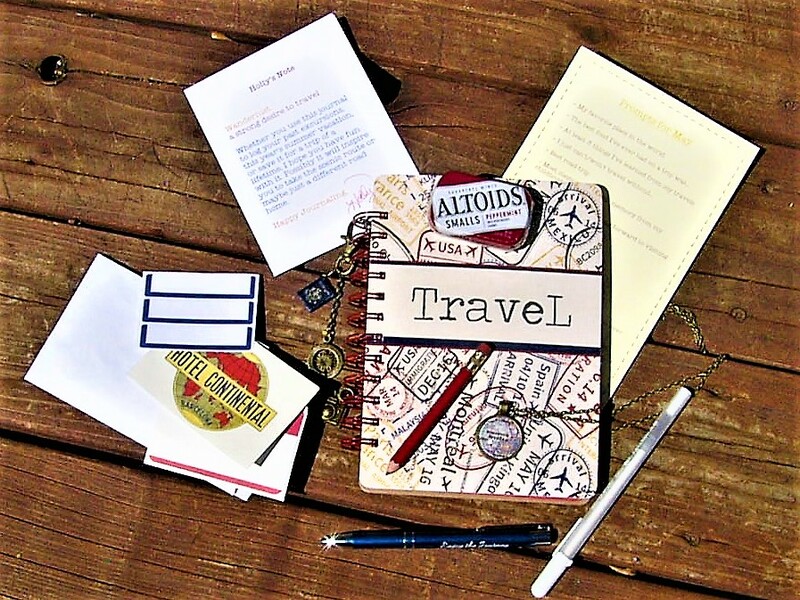 I love the old-fashioned travel theme! 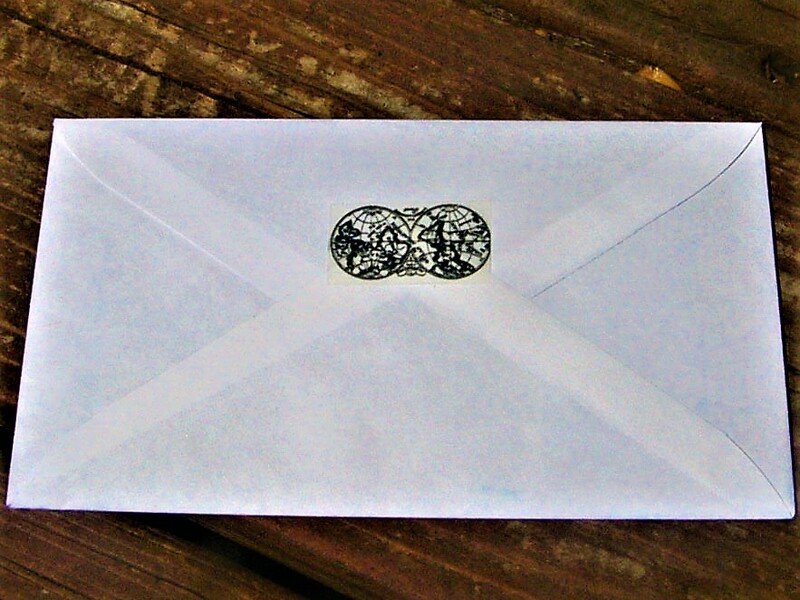 There are also numerous envelopes inserted throughout the journal. These are great for storing trinkets or photos that you want to save! 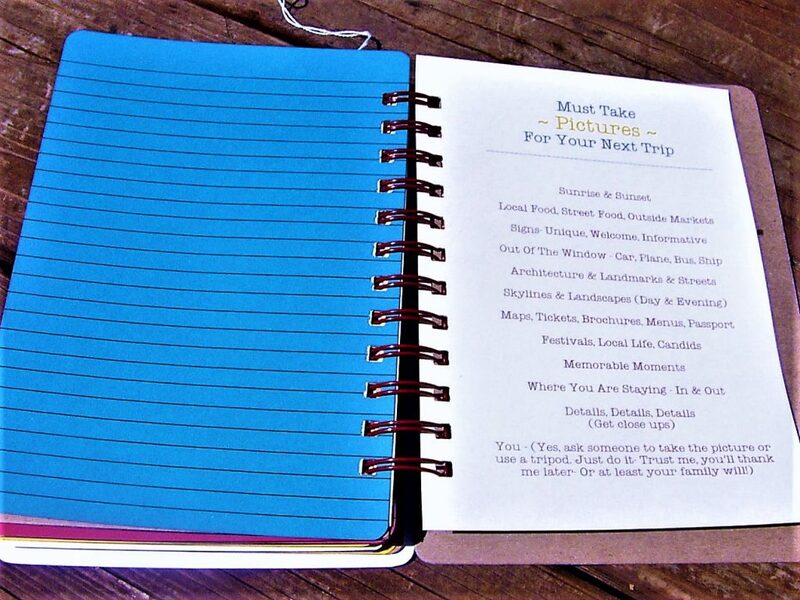 The end of the journal comes with suggestions for photos to take on your next trip! 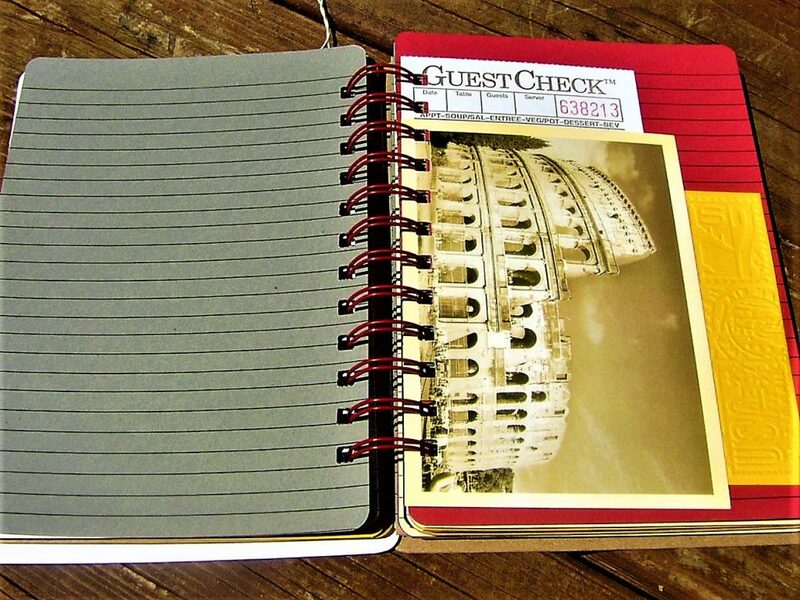 This is a great way to turn the journal into a scrapbook as well. Every box also comes with an envelope of bonus trinkets for you to personalize your journal with. The trinkets included this month are so cute! They follow the vintage travel theme, and the plane paperclip is so unique! I can’t wait to add them to my journal. 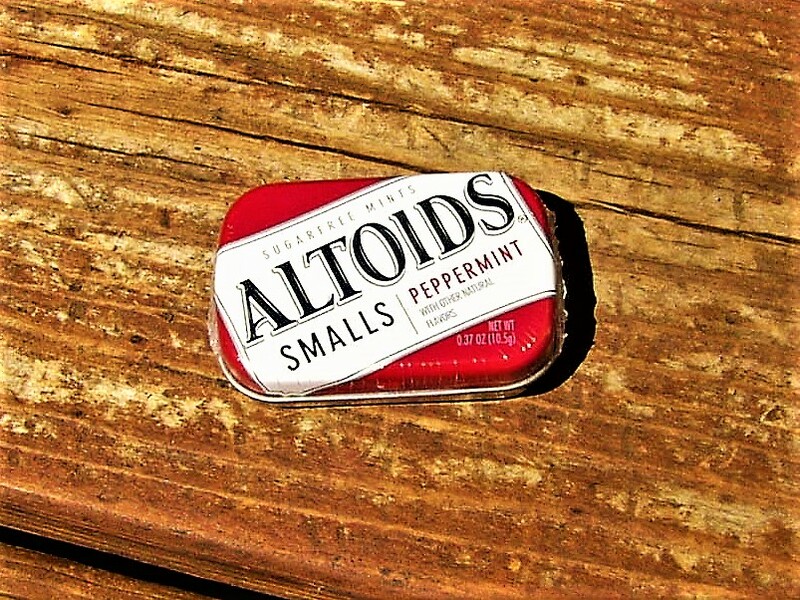 The last item included in the box is this tin of Altoids peppermints! Holly always sends a little treat in her boxes, and I love the sentiment. Final Thought: This box was just as good as last month’s box, if not better! Holly has so much creativity, and I love how each journal is completely different from the month before. You cannot find these journals anywhere else since they are handmade and invented by Holly, and that makes the box a one of a kind treasure. 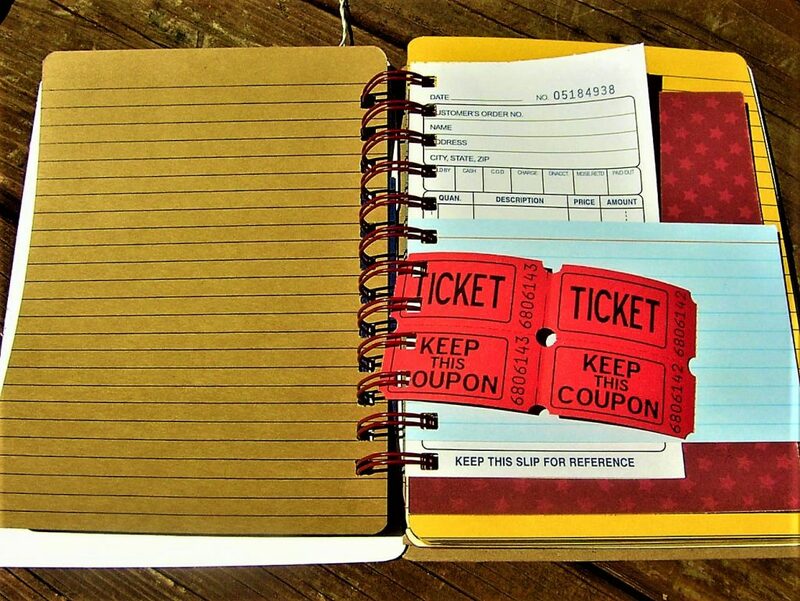 This box is perfect for crafters, journalers, writers, and scrapbookers alike. It is the most original box I have come across, and I cannot say enough good things about it! 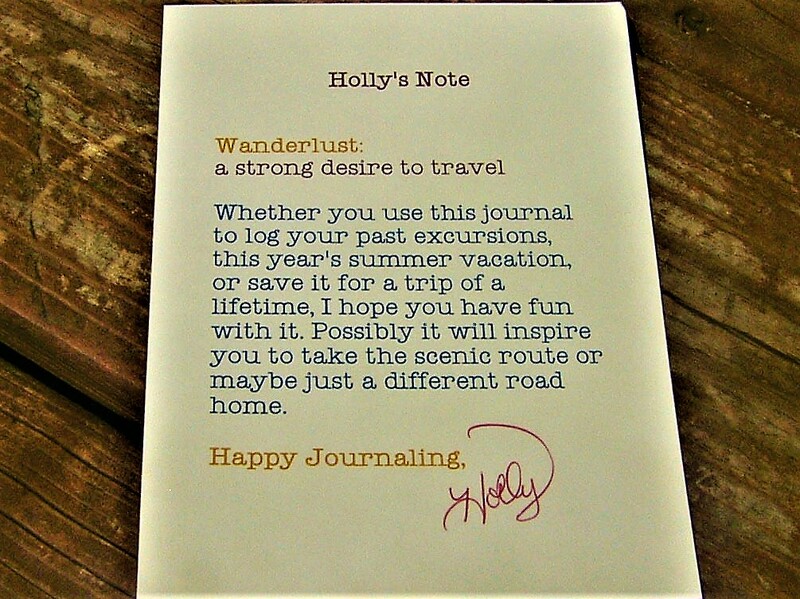 You can’t go wrong with Holly Journals for yourself or for a gift for someone you love!